I met so many nice people last week when I spoke at the McDowell County Rotary meeting. One of them was Mr. Steve Bush, executive director of McDowell County Chamber of Commerce. He invited me to place "My Days with Nell" and "Treasures of my Heart" at the McDowell County Visitor Center. I am pleased to say that I took books by there today and was very impressed with the professional and welcoming atmosphere of the center. There were several folk milling about shopping and asking questions. Mr. Bush informed me that the center entertains about 15,000 to 20,000 visitors a year! Wow! I had no idea so many people stopped by our little town of Marion! Isn't that great? This has been a wonderful week! On Monday, April 20, 2015, I had the pleasure of speaking at McDowell County Public Library with ladies from the United Daughters of the Confederacy. These women were a delight! I was welcomed into their midst and was impressed with the UDC's efforts in benevolence, historical accuracy, and preservation of records. This group of "Daughters" are very involved in the community and with upcoming events celebrating our heritage. I presented a PowerPoint on McDowell County's Historic Carson House and the descendants of John Hazzard Carson. "Treasures of My Heart" was well received and I am grateful for the opportunity to visit with these dedicated and proud women of McDowell County's UDC chapter. Today, I had the privilege of speaking at the Community Building with McDowell County's Rotary Club. This group of professional men and women were so warm, engaging, and hospitable. I saw a few people I had not seen in years...it was so nice to reconnect with them. I was treated to a delicious meal catered by Countryside Barbecue and enjoyed the presentation of McDowell High School's "Student of the Week" to a fine young woman whose ambition is to have a career as a nurse anesthetist . Good luck to her... I wish her the best. Following a brief business update, I presented a 20 minute PowerPoint based on the historical research I did while writing, "My Days with Nell." I hope I was able to share some new information and enlighten the members on some of the Vanderbilt and Cecil family history. I enjoyed my time with some of McDowell County's finest business entrepreneurs and hope I persuaded some of them to visit America's largest privately owned home... soon! 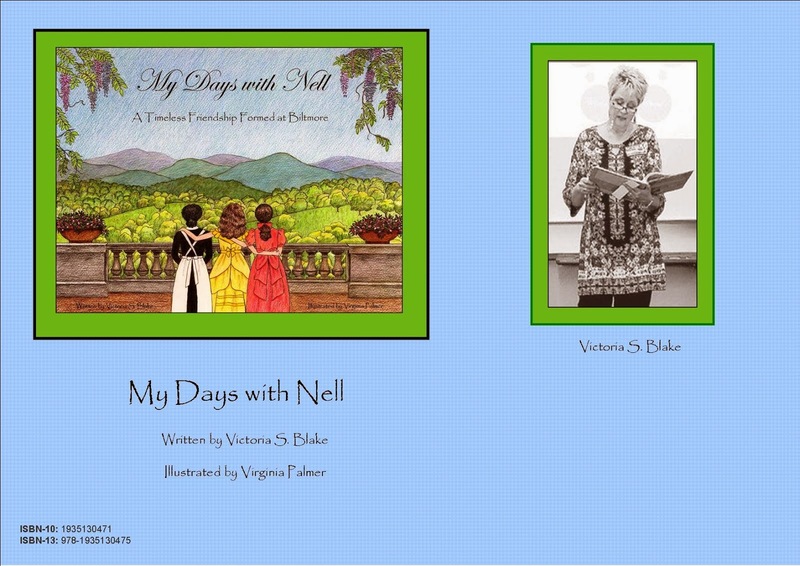 I have been invited to speak at two upcoming book club meetings and will be at North Cove Elementary School the first week of May sharing "My Days with Nell" with their fourth graders and "Treasures of My Heart" with the third grade students. I can't wait!